Art gives a voice to those that cannot express themselves through words. It has been proven time and again the importance of art and art education for children. The impact and benefits of an art fortified curriculum have been talked about for a long time now. The conventional education system has sometimes failed the students in giving scope of all round development, an opportunity that arts have always offered. In the world of media and excessive exposure to television, movies, video games and mobile phones, art comes as a creative respite and rescue for children. The ability to think creatively and get engaged in anything constructive is getting hampered due to over exposure to electronic media, while engagement in the arts develop their self-esteem and develops sustained concentration. There is a systemized way to introduce arts into the child’s life. Before helping the child develop any kind of artistic skill, it is imperative that the child develops an interest in the same. Some practices and ways to keep in mind when you want the child to develop an interest in the arts are listed under. Start young – even a scribble in a color of their choice might be the impetus to raise the interest of the child in the arts. If a little toddler enjoys the experience of scribbling in color, he/she might pursue it for life and it can develop as a lifetime skill. A euphoric feeling of satisfaction and accomplishment then comes through the act of making art. Accessibility – the art supplies and the inspiration to create is all related. When a child finds an easy access to the art supplies, an automatic association is formed and the desire to express through art is encouraged. 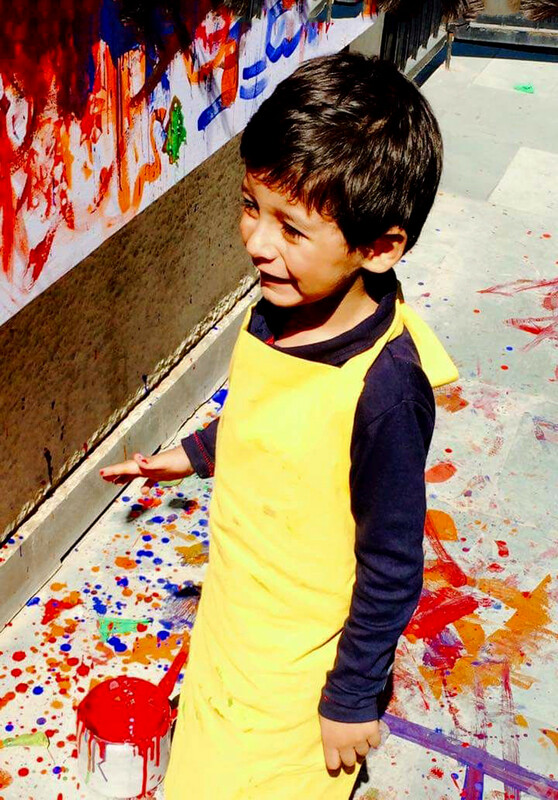 To have paints, crayons, markers, paper, sculpture and such materials always within your reach is bound to create interest and curiosity among the kids. Art in the Schedule – it is important to set time aside for art in the daily schedule for children. It may be a little time every day, a little more on the weekends and holiday. This should be the time when you dedicate your whole attention to the arts and to your child. A scheduled time for arts gives the child a respite from a rigid schedule and a dry unappealing curriculum. Enroll in classes – there is no dearth of art classes or creative programs for the children. Programs that not only engage the children but introduce them to the benefits and positive impact of arts. A formal class of this kind helps the children interact in an unregimented open environment and introduce them to the concept of team work and collaborative projects. Art Excursions – a trip to the art museums or galleries opens a historical with the attraction of trip out of the house. The art museums can, in fact become a source of inspiration, knowledge and potential resource. Introduction to the world of art and its history, maestros and their work may end up kindling a life-long interest in the arts. A good word – children are sensitive and highly perceptive when it comes to their parents’ reactions. A work of art that the child makes involves all his energy and attention, and they put in a bit of their soul into what they make. It is, hence important to encourage and appreciate their work, without inducing a false sense of pride in them. A child’s art should not be criticized or forcefully guided. The control freak in you, needs to take a rest here and a genuine appreciation is needed too. However, care should be taken not to overdo it. It is important that the child develops a healthy self-esteem, a sense of false pride however should not creep in. A gift that any of us or our children may possess as a talent should be accepted and acknowledged with a sense of gratitude, a quality that a true artist is sure to understand and treasure.